Today I’m very excited to have Ruth author of The Single Feather on my blog to talk about her first published novel…. The simple image of a white feather on a black background is strong. Were you able to have any input in the design and if not, are you happy with the results? Early on, I had the idea of a black and white cover. At the time I was reading Donna Tartt, and her black/silver paperback covers appealed to me. I wanted a stylish, striking cover that wasn’t gender specific. I was allowed a fair amount of input into the cover, though I’d say the whole process was down to negotiation and being realistic with regard to what was achievable. The monotone imagery and yet lightness of a feather feels at odds, contrasting. I’m intrigued. What can you say about the book? The feather imagery relates to something that happens to one of the main characters. As a result of this, her circumstances feel bleak and futile, both to her, and probably to those reading about her life. She feels as if she is blown from one crisis to another, and hides the parts of her past and personality she is ashamed about – unaware others maybe doing the same. The pristine white feather hides the complicated detail. How far can you get through life, hiding who you really are? The Single Feather? At what point did the title come to you? I submitted the book along with ‘dreadful title’, and one party advised that parts of the book needed rewriting. I took my time over this, and one day (while procrastinating) was reading Rumi, when I found the segment about The Single Feather. It not only gave me the title and cover idea, but also fitted in well with the text, and overall concept. When is the publication date? 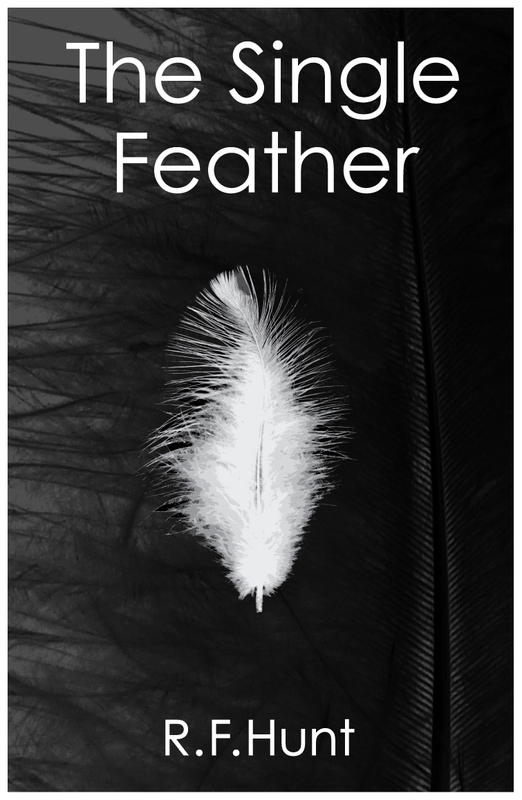 After a very long journey, The Single Feather is out now…. And without giving anything away, if you could be one of the characters, who would you be and why? This is a hard one. I think most people would assume I’d identify with the protagonist. However, I think out of all the characters, I’d like to be Lena. She is one of the older characters, but unlike some of her contemporaries, she has a strong sense of right and wrong, and isn’t afraid of challenging even the most belligerent and argumentative members of the group. Thank-you very much Ruth for being on my blog, it has been a pleasure to hear about your novel. I wish you the best of luck with your novel and any future projects. If you would like to find Ruth online or find out more about The Single Feather, you can at the links below. Thank you Katie, for this interview. Much appreciated! Thanks Hun – I agree I too loved reading about the journey of The Single Feather…. Kendra, and thanks Katie as well! Congratulations on publishing your first novel Ruth. Great interview Katie! :). Great job, Katie and Ruth! I just bought an ebook copy of The Single Feather and am really enjoying it! I hope you have a lovely weekend.. Thanks to Katie for this interview!